Imagine if a deadly disease hit earth causing a mortality rate even remotely near the failure rate of real estate agents — people would live in complete, utter panic. The failure rate in real estate is high — extremely high. Many people who were in your real estate class are unlikely to be in the business five years from now. While that sounds alarming, it’s your livelihood at stake, so you better pay attention. Why do so many agents fail and quit the business? 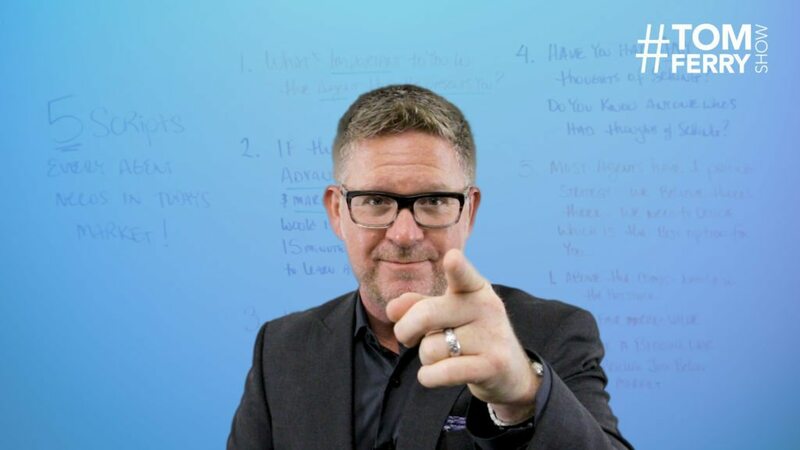 I’ve worked with and studied real estate professionals for a long time, and I’ve identified 10 of the biggest reasons agents fail. Avoiding these pitfalls will help you join that elusive club of agents who survive and succeed in this business. Let’s go! Just being interested in your career isn’t enough. When you’re interested, you do things when they’re convenient. Success in real estate is all about diving in head first, being fully committed; this means doing whatever it takes as long as it takes to achieve your goals. If you’re not fully committed, it’s time to reassess your career choice. For more on this topic, watch this previous #TomFerryShow. Can you explain your market trends easily? Do you truly know your market? What’s selling? What’s not? You need to be able to answer the questions and those like them in a split second. To survive in real estate, you need to look at your marketplace from a strategic standpoint. You must look at the hot sheets every day. You have to own that knowledge and become the knowledge broker in your market. It’s not enough to simply like houses and enjoy working with people. Take a step back, analyze your market and make sure you know it and your place in it. There’s a lot of vanity in real estate, which can cause agents to shy away from anything that might paint them in an unflattering light. But you can’t be afraid to make mistakes. Mistakes are how we gain wisdom. Accept that it’s okay to make mistakes. The more mistakes you make, the more you’ll bridge that gap between knowing and not knowing, and between success and struggling. Having someone to look up to, to aspire to, to model your behaviors on is a hugely critical step in helping you reach that “next level” in real estate. Far too many agents have no role model for their business. Or they have the wrong one. To accelerate your ascent in this business, find someone who is successful in both life and business, and model your behaviors on theirs. As a real estate agent, your No. 1 priority is attracting customers. It’s not a part-time pursuit. Far too many agents do just a little bit of marketing once a week and hope for the best. Lead generation and lead conversion need to be your primary focus. If there was a way to teach every new agent this philosophy and force them to live up to it, the agent failure rate would decrease dramatically. Being a real estate agent isn’t a job, it’s a business. It’s your business. You’ll get out of it what you put into it. Especially if you’re new, you absolutely must put in the time and effort. All the money is made before 9 a.m. and after 6 p.m. If that doesn’t work for you, you’re in the wrong business. Long ago, NAR released a report stating that the vast majority of new agents come into real estate with no sales experience, no marketing experience and no negotiation experience. What are the essential skills needed to succeed in real estate? Sales. Marketing. Negotiations. Hmmm. If you haven’t mastered these three skills, you need to be working on them constantly. Put yourself in situations where you learn the objections, get hung up on and gain that experience. Putting yourself in those situations repeatedly will break down those fears of calling FSBOs, expireds and the like. I often encourage brand new agents to work with FSBOs and expireds to break them in with “the most challenging” clients. When you know what to say, everything becomes easier. When you know your numbers, you put yourself in control. 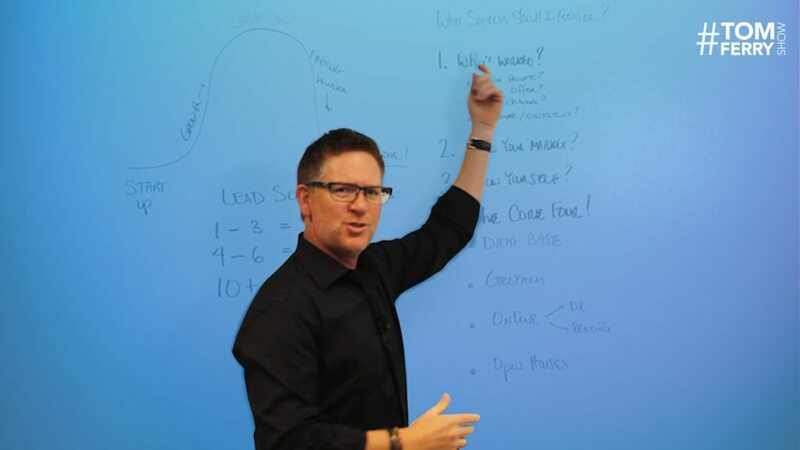 On average, how many leads does it take for you to convert one sale? 30? Great! 162? Great! “I dunno.” Not great! As long as you know your numbers, you know what you have to do. If you don’t know your numbers, you’re just hoping for a winning lottery ticket. Knowing your numbers makes your business predictable. Being predictable leads to success. Know your numbers! If you’ve followed me for a long time, you’ve heard me say it a million times: “Show me your routines, and I can predict your future.” If your schedule isn’t aligned with your goals, you’ll end up wherever your schedule takes you instead of achieving your goals. The key is figuring out the specific activities that will lead to the achievement of your goals. Then you schedule those activities. The role of discipline in your success cannot be underestimated. Schedule everything and find a way to hold yourself accountable. Lots of people get into real estate thinking it’s a low-overhead business with an opportunity to make big, giant paychecks. Those days are long gone, trust me. This business is so competitive that you need a funding plan not only to survive, but you need to invest in your business and build it in an efficient way. Make sure you’re managing your money smartly in order to avoid becoming part of the high percentage of agents who fail. Now that you know the 10 biggest pitfalls that cause the high agent failure rate, what are you going to do with this information? Where do you need help? Where are you looking for that help? Discover how coaching can help you avoid these 10 pitfalls and truly excel in your business with a Free Coaching Consultation. 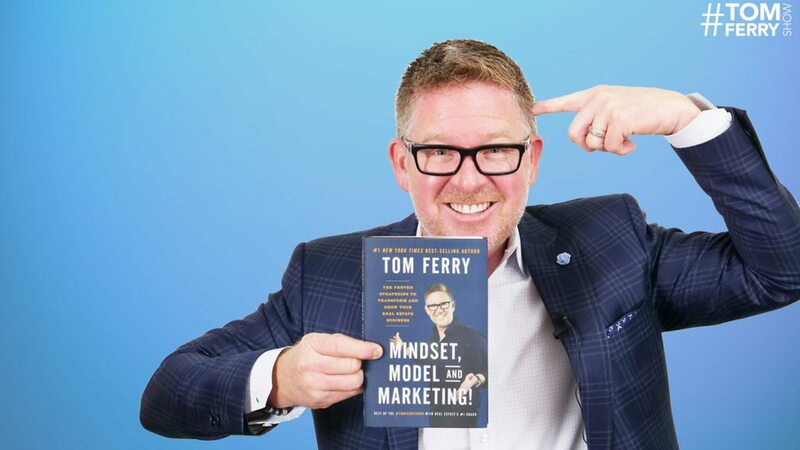 To get Tom Ferry videos and articles like this delivered to you regularly, join our VIP List.